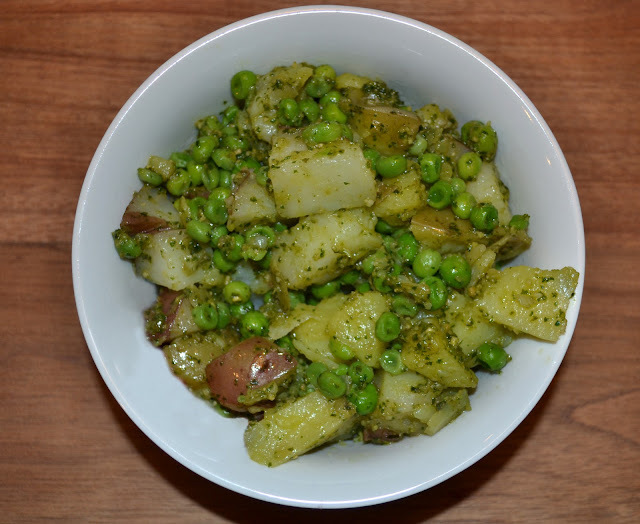 This combination of creamy potatoes, savory pesto, and sweet fresh peas is dreamy, and almost as dreamy as the taste, is the simplicity of the recipe. 30-40 minutes (or until tender when pierced with a fork). 2) Meanwhile, mix the pesto with the olive oil until it comes to a thick dressing-like consistency. prefer). Use a dry cloth, or additional utensil, to avoid burning your hands.